Do you wake up feeling sluggish even after a full night’s rest? Do you drag through your day drinking coffee just to get your through? If so, it’s time to take a look at your diet and see what you can do to support better energy levels. B-vitamins play a particularly important role when it comes to energy support. B-vitamins help to convert the foods we eat into energy. 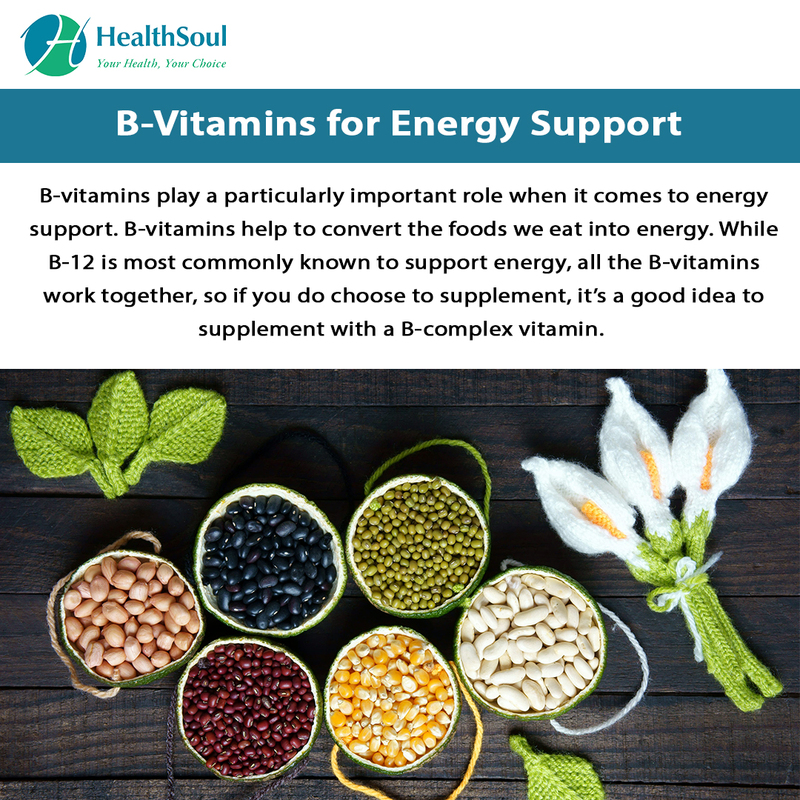 While B-12 is most commonly known to support energy, all the B-vitamins work together, so if you do choose to supplement, it’s a good idea to supplement with a B-complex vitamin. Let’s take a look at why B-vitamins are so important for energy levels as well as some ways you can get these important vitamins from your diet. As already mentioned, B-vitamins will work to convert the foods we eat into usable energy. They are also super important for getting oxygen through the body and help to support red blood cell production both of which play a role in how much energy you have each day. 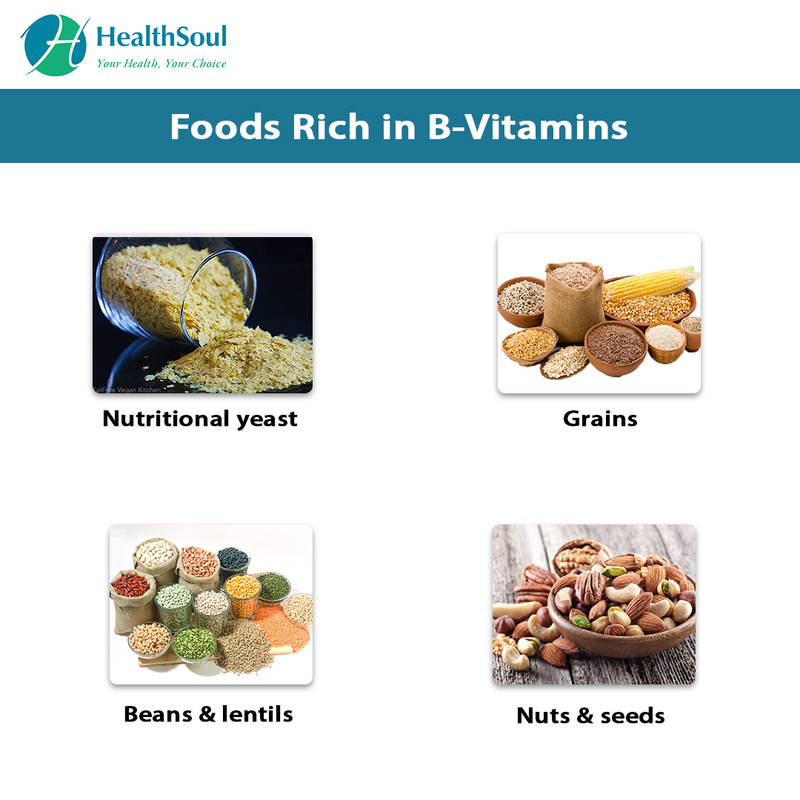 The body will use up B vitamins the more active you are, so if you are super active, you will want to make sure you are eating plenty of foods rich in B-vitamins and supplement accordingly. While fatigue is one of the primary signs you may not be getting enough B-vitamins in your diet, there are some other symptoms to watch out for. Something called beriberi can occur if you are not getting enough vitamin B1 (thiamine.) This can cause difficulty walking and speaking, confusion, muscle weakness, and numbnessand tingling in your hands and your feet. Pallagra can occur with a vitamin B3 (niacin) deficiency which can cause hair loss, diarrhea, swelling of the skin, and weakness. A vitamin B12 deficiency can lead to anemia, jaundice, numbness, difficulty walking, and weakness. The bottom line when it comes to supporting energy levels by getting enough B-vitamins requires a very well-balanced diet. If you are not getting enough vitamin B rich foods in your diet, supplementing with a B-complex vitamin may not be a bad idea. If you are feeling fatigued, and you have ruled out all other potential causes and are making sure that you are getting enough sleep each night, take a look how many vitamin B rich foods you are consuming and adjust as necessary. B-vitamins are essential for energy support and can make a huge difference in how you feel overall. Intermittent Fasting- Is it Healthy? Are Diet Drinks Helping You Lose Weight? Learn About Dietitians: Problems They Treat and When to see one? What are the Advantages and Disadvantages of Drinking Tea? Are Artificial Sweeteners Better for Weight Loss?